BHEL Previous Year Question Papers are designed by senior experts in the fields of Mechanical Engineering, Electrical, and Electronics. So candidates are needed to focus more on their academic subjects as well on the BHEL previous papers and Model papers. This type of exam preparation helps in identifying the exam pattern, frequently repeated questions, and questions models. There are various jobs available for young graduates in Bharat Heavy Electronics Limited like Junior Engineers, supervisors, Trainee Engineers, Executives, etc. Candidates who are applied for any of these jobs are required to practice the BHEL Previous Papers to get a good score in the entrance exam. 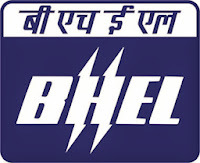 Interested candidates can use the below links to download the BHEL Previous Papers. Also, the GATE score is mandatory for a few of the executive posts in BHEL. Most of the Public Sector units today are accepting GATE score in the recruitment process. So we can also consider GATE previous papers for preparing BHEL entrance test. Check the disciplines which come under BHEL Engineers Recruitment. Candidates can use the below-given links to download BHEL Previous Papers for Mechanical Engineering.